The Medical Examiner’s Service performs autopsies for all suspicious deaths in the province of Nova Scotia. Housing pathologists, death investigators and support staff, the building accommodates diverse functions. It has to work efficiently as a place to perform autopsies, including the shipping and storing of the dead, while also welcoming people to identify their deceased friends or relatives. It has classrooms and observation spaces for educating and interacting with law enforcement, a tissue recovery suite, administrative space for investigators and areas for facility management. 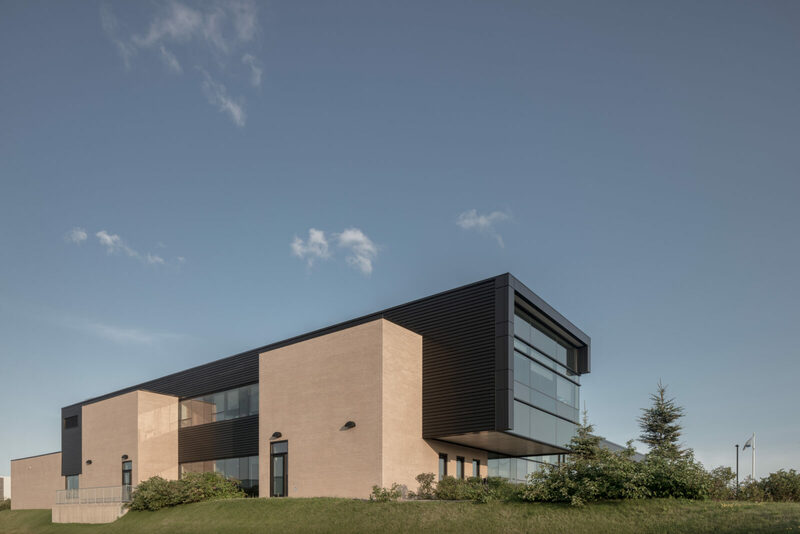 Located in the Burnside Industrial Park in Halifax, Nova Scotia, the site is flat with few defining natural features. Programmatically complex, the building has adopted a layered approach to the architecture and uses nature to separate the diverse functions within the spaces. Programmatically, the project is split into two buildings: one for administration and the other for autopsy and support. The separation of the two spaces is predominantly to contain the pervasive odour of decomposing bodies. The two buildings have been arranged around a contemplative courtyard. This interior outdoor space is the focal point for the facility and provides access to daylight, fresh air and green space for all occupants. The courtyard offers privacy and security to the staff, away from the grieving families coming to the facility. It also provides a refreshing, democratic central area where staff can interact away from their challenging and intense work. Monastic and quiet, the building is respectful of all its occupants and visitors, both living and dead, and provides a supportive space for autopsies and tissue recovery.